Hendrix Drums is a new company established in 2013. These drums features 1/4 inch Stave Shells with carved in reinforcement rings. The drums has a very wide tuning range with excellent resonance in it. 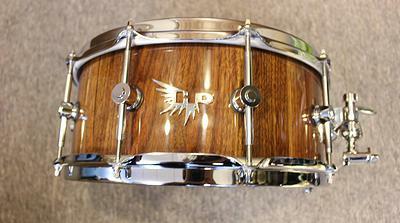 We personally feel that this is the top Stave Shell Custom Drum Company in the world today. Features S Hoops, Fat Cat Snare Wires, Tightscrews and Dunnett R7 Throwoff. This is my Hendrix 14 x 6 Walnut blockshell snare. 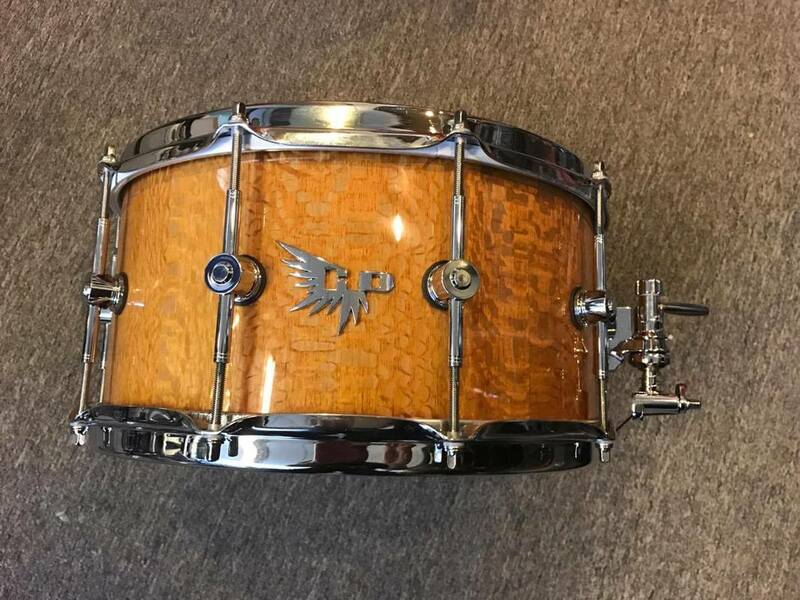 https://www.youtube.com/watch?v=4TThjCNsMT4, this is the exact same snare. 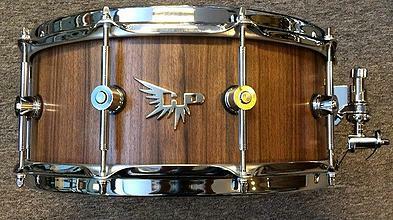 When I first heard this snare, I was totally blown away, "crisp, articulate and punchy" is how I would describe it. ​The tuning range is wide as well, so it would suit most genres of music. Of course, I grab it when it arrives, I took it without much hesitation. One of the most terrific sounding snares, I played and owned. 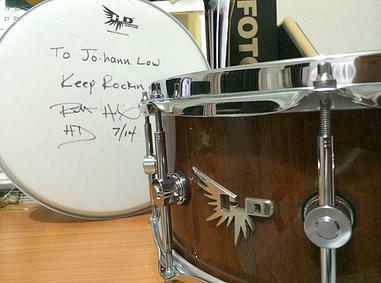 Thanks Rhett and Benny for that special signature drumhead.